CRO 20MHz, Dual Channel, 2 Trace. 1) + 3db 4 Hz 1.2 MHz. Trigger Synchronization : Int, Alt, Line, Ext. TV. 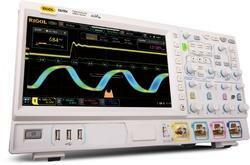 Used in engineering institutions and universities, our range of Dual Trace Analog Oscilloscopes can be customized to meet the exact specifications of the customers. These Oscilloscopes are light in weight, portable instruments that are compact enough to be easily carried by a single person. 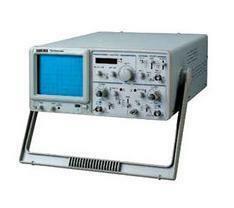 We are leading suppliers and wholesellers of Dual Trace Oscilloscopes.